This post is sponsored by Lindt Chocolate. 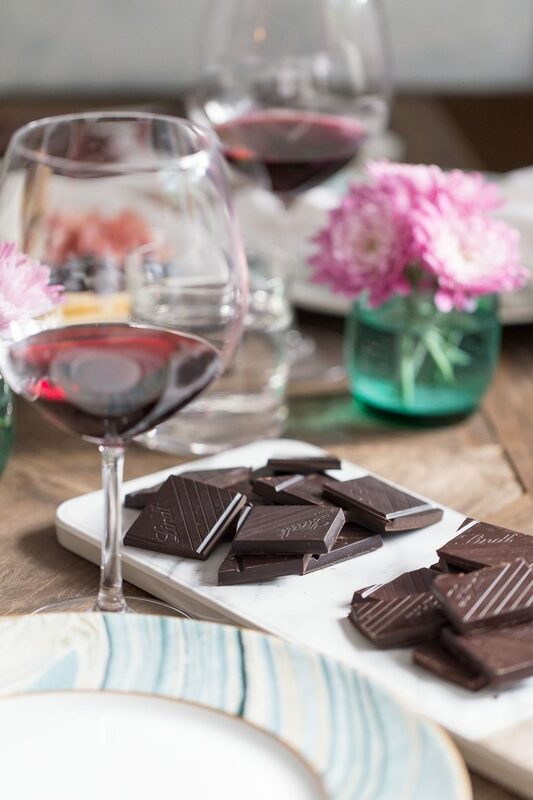 There are few things in life that bring people as much joy as a chocolate tasting party. 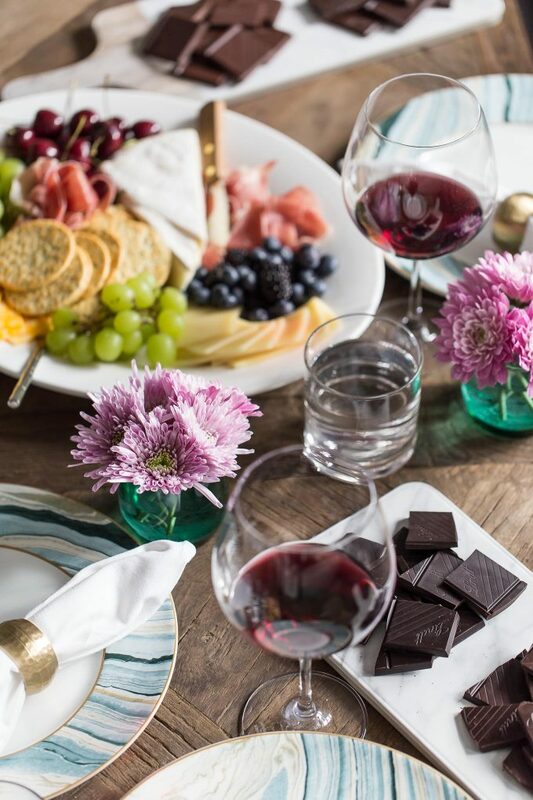 The only thing better might be a chocolate and wine pairing, which is exactly what I prepared for a few of my best girlfriends last weekend. 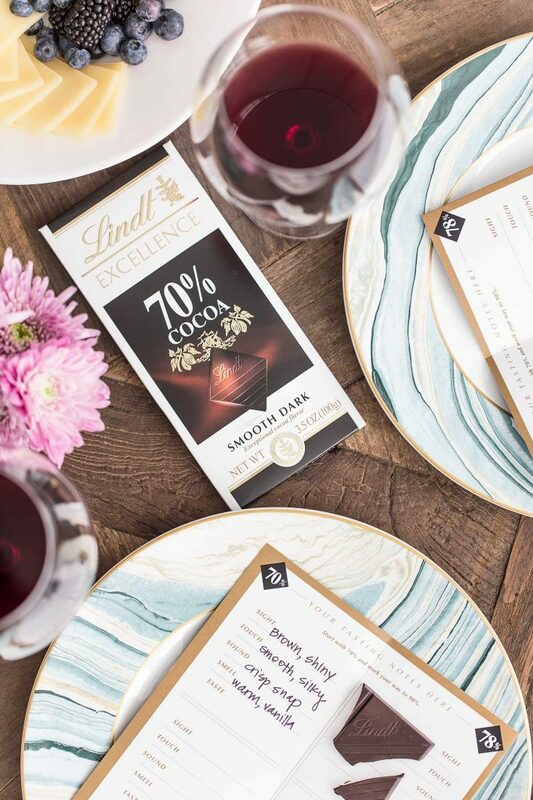 Now, as a certified dark chocolate fan and a lover of all things Lindt, I was altogether thrilled at the opportunity to taste the new Lindt EXCELLENCE 78% dark chocolate bar, alongside the other dark bars in their EXCELLENCE collection. I’m no expert when it comes to wine, but I’m always up for a tasting (and an opportunity to pull out quotes from Sideways). Before the party, I broke the bars apart into diamonds and arranged them on platters, separated by cocoa percentage. I grouped the 70% and 78% on one tray and the darker 85% and 90% on another. 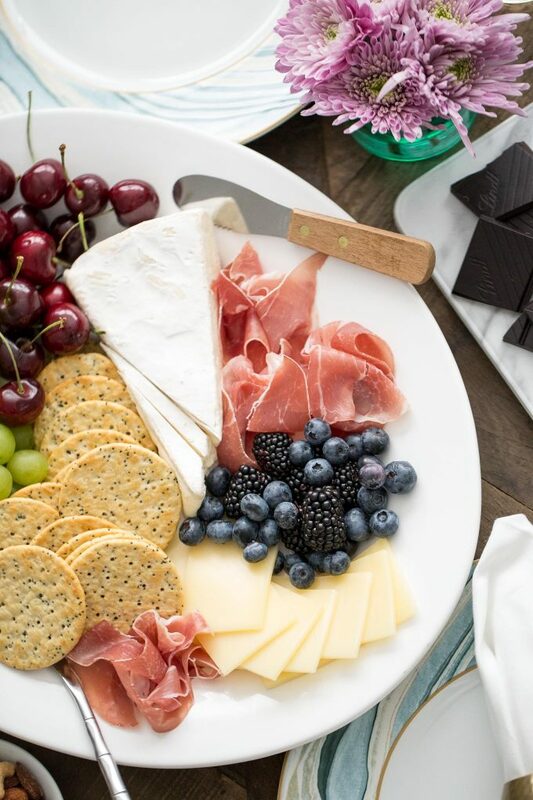 To go with the chocolate, I assembled a big, beautiful cheese and charcuterie board for snacking, and even more pairing possibilities. 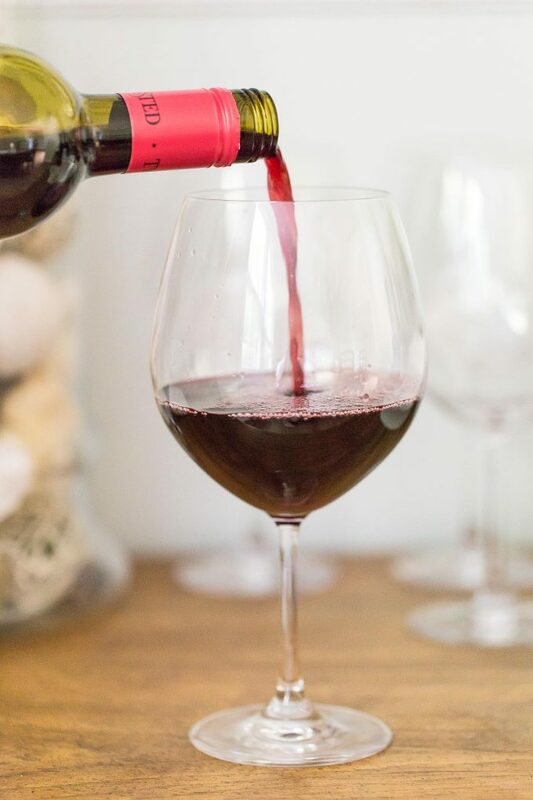 For the wine, I purchased four very reasonably priced bottles because the truth is, my friends and I wouldn’t know the difference. 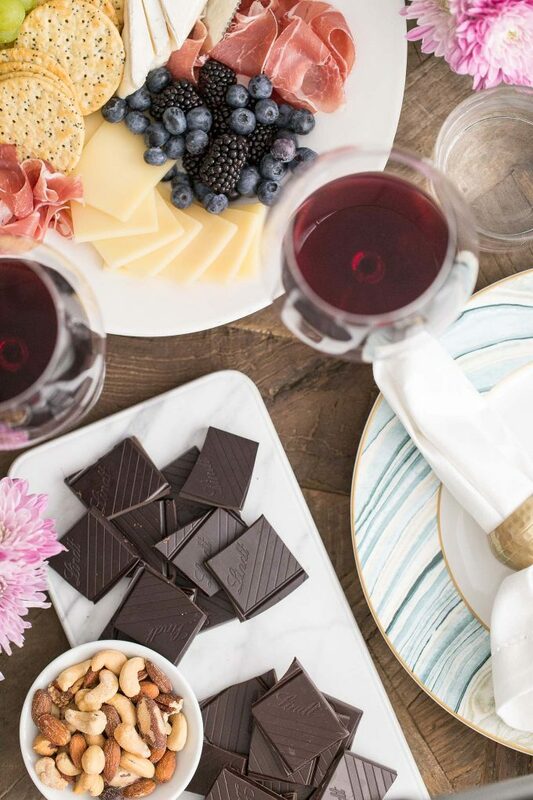 Lindt shared a tasting guide with me that showed which wines to pair with each chocolate bar—the 70% with a Cabernet Sauvignon, the 78% got a Pinot Noir, the 85% went with a Zinfandel, and the 90% with a Meritage. Sight – Examine the chocolate’s color and note the sheen. Is it matte or shiny? Sound – Break the bar, listen for the crisp loud snap. A distinct snap and clean break are signs of quality. Smell – Breathe in the fragrance and aroma of the chocolate. What aromas can you identify? Taste – Allow the chocolate to melt on your tongue. What flavors can you identify? We worked our way from lightest to darkest, starting with the EXCELLENCE 70% Cocoa Bar. The most common observations about this bar were its lighter brown color and warm, sweet smell. Each of us noted how creamy it was, and enjoyed the smoothness of the cocoa flavor. It was sweet but still firmly chocolatey, which is why it was Daniel’s favorite of the night. Next up was the new EXCELLENCE 78% Cocoa Bar. This one was a slightly deeper brown color and had the same satiny appearance. The smell was faintly fruity, with smoky hints of tobacco and leather. Taste-wise, it was nice and balanced—not too dark, not too light—with a buttery mouth feel. 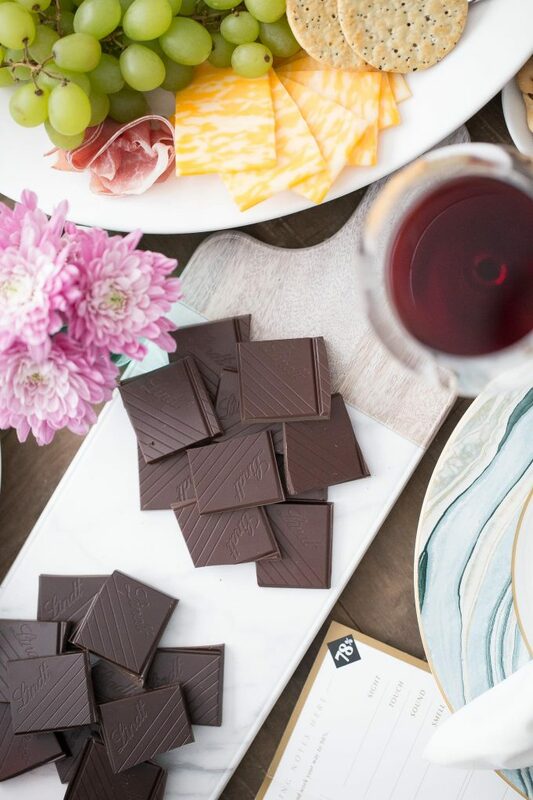 The 78% bar was a huge hit, and tasted even better paired with our $10 pinot noir (though, admittedly I think this would be good with just about anything). We moved on to the EXCELLENCE 85% Cocoa Bar. This was even darker than the previous bars and had what I thought was the best smell of the bunch. It reminded me of strong, dark roast coffee. The taste was bold and woodsy, with a much more robust cocoa flavor than the previous two. We were all saying how key the 78% bar was as a middle ground between the first and third bar because the difference was pretty stark. 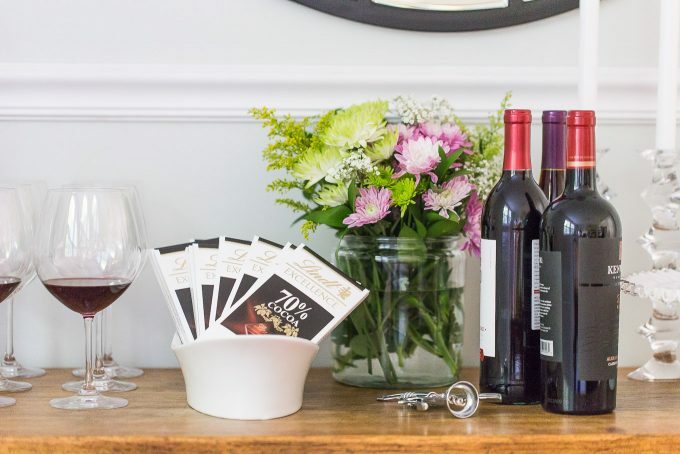 The fruity, spicy flavor of the Zinfandel really magnified the same flavors in the chocolate. Last but not least was the EXCELLENCE 90% Cocoa Bar. This was the darkest of the bunch—almost black in color—and proved to be the bar for true cocoa lovers. The taste was rich, profoundly chocolatey, and bold like espresso, but also polarizing. Some found it a little too bitter to enjoy the bar by itself, but enjoyed the flavor when paired with the similarly bold, yet smooth Meritage. You can purchase Lindt Chocolate in your favorite retailer, in a Lindt Chocolate Shop near you or online at Lindt.com! Such a sophisticated party – the set up has me drooling! And I LOVE Lindt chocolate! “The truth is my friends and I don’t know the difference” -you’re a hoot. Great party idea! One small square of Lindt Dark Chocolate with Sea Salt is very satisfying to me after dinner, as a dessert. It’s delicious. I love it! I’ve thought about doing a chocolate tasting before, but I didn’t know how to run one. Thanks!